Recognition of sound sources and events is an important process in sound perception and has been studied in many research domains. Conversely sounds that cannot be recognized are not often studied except by electroacoustic music composers. Besides, considerations on recognition of sources might help to address the problem of stimulus selection and categorization of sounds in the context of perception research. 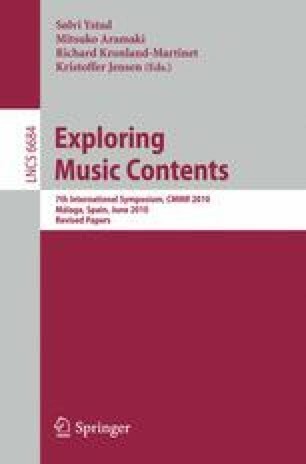 This paper introduces what we call abstract sounds with the existing musical background and shows their relevance for different applications.